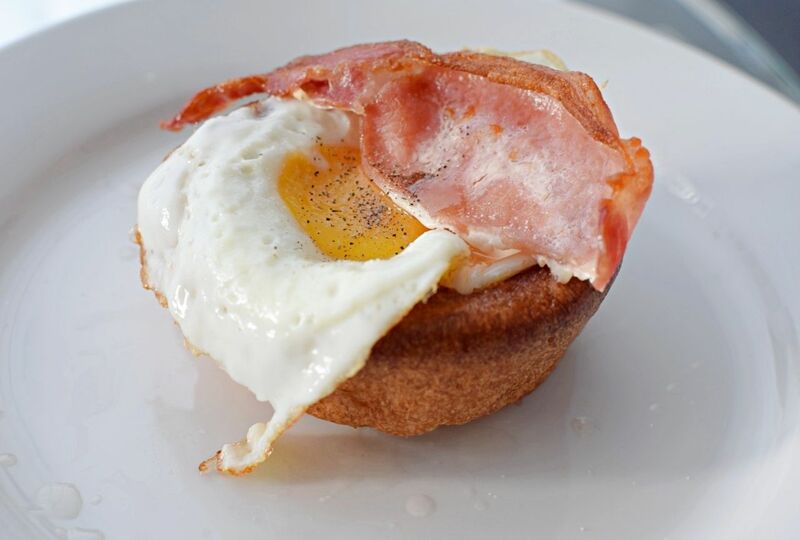 If you have woken up this morning and craving bacon and eggs, then why not give this a go for something a little different. 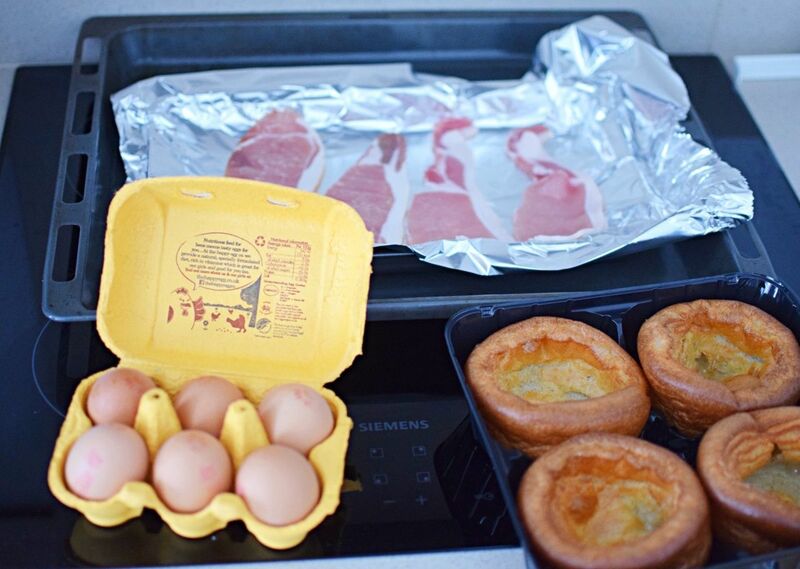 Danny and I tried making these breakfast Yorkshire puddings out yesterday morning and boy were we in for a treat. They are just simply delicious and did I also mention they are like the easiest thing ever to make? So no matter if you have the hangover from hell, you can do this, come on. 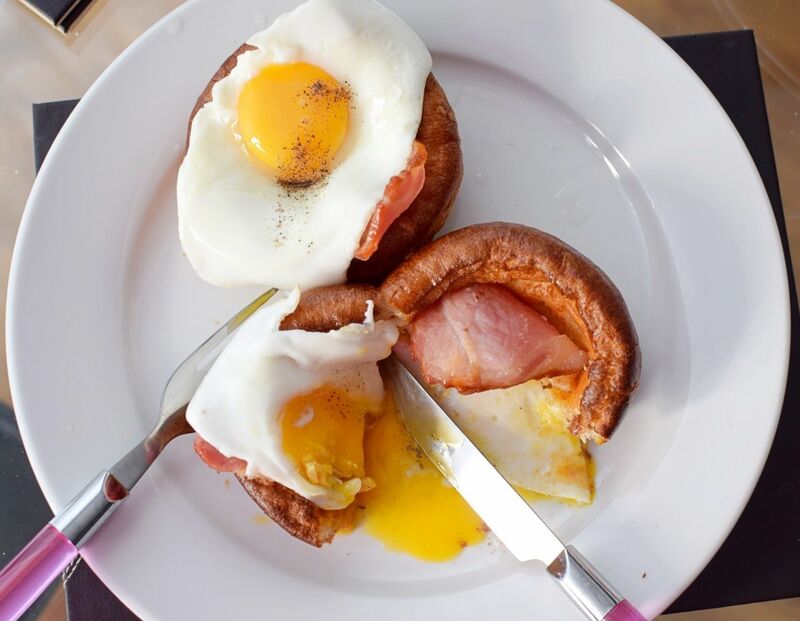 Fight through and enjoy the egg, bacon and Yorkshire pudding goodness! 1. Cook the bacon rashers in the oven for 20 minutes. 2. Once the bacon is done or nearly done pop in the Yorkshire puddings for 5 minutes. 3. 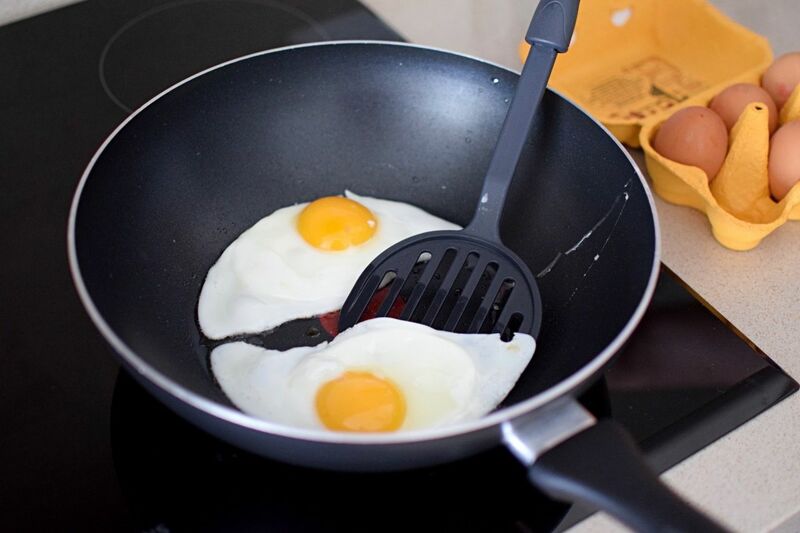 Whilst Yorkshire puddings are cooking, crack the eggs in the frying pan with some oil and make your fried eggs. 4. 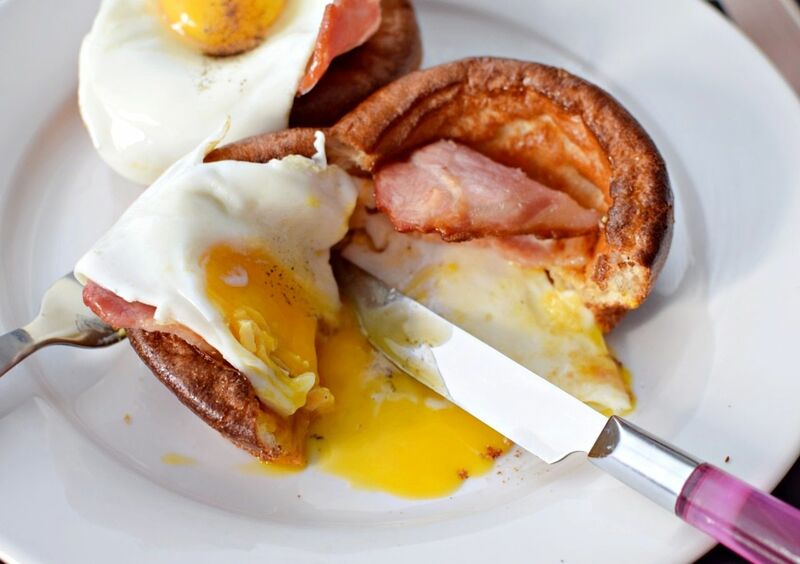 Take Yorkshire puddings out the oven, add bacon and egg and then finish with seasoning. These are so simple and easy and taste amazing, plus a little different to the norm for breakfast.